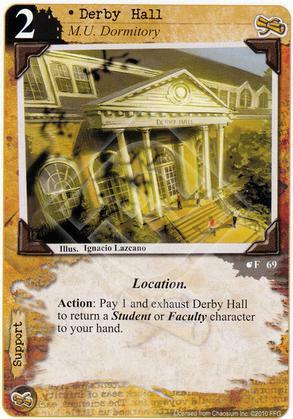 Action: Pay 1 and exhaust Derby Hall to return a Student or Faculty character to your hand. So, because I'm seeing no errata on this saying "you control" or "its owner's hand", can this allow you to put an opponent's Student or Faculty character in your hand? When a card leaves play (is moved to a player’s hand, deck, or discard pile), it is sent to the appropriate out of play area of its owner.